As a photographer, I feel very strongly that it is so easy to fall into a comfort zone. One where you know exactly what to do to get your shots. I like to challenge myself constantly. Not only does it keep photography interesting for me, but it also forces one to master all aspects of the craft. This year I wanted to do a great deal of location photography. I am not just referring to the usual wedding location work or the odd family shoot outside in a park. I am talking about interesting fashion and conceptual photography, utilizing natural light, as well as the Profoto BatPac and D500 studio set I invested in. 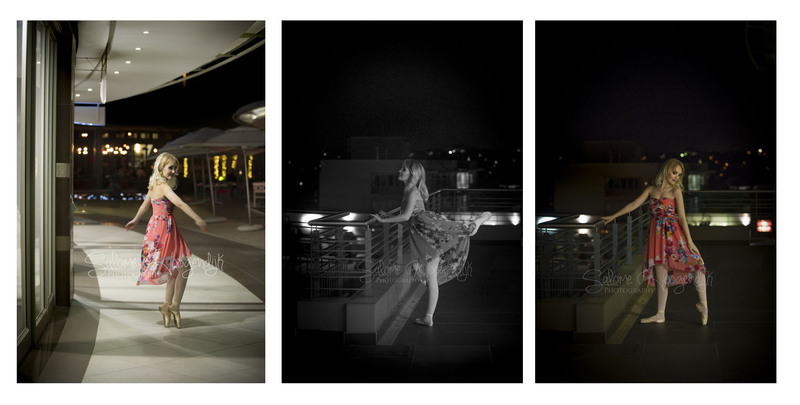 As part of several ongoing projects, one of my models came up with a sample of an urban ballerina dancing at night. I loved the idea, and so the Ballerina Project was born. 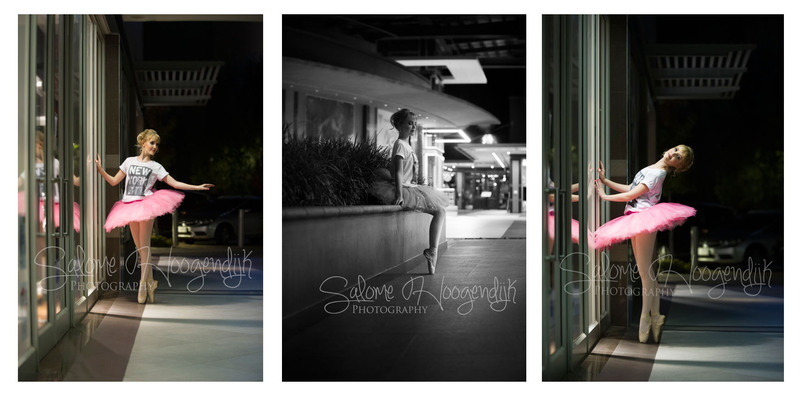 I decided to photograph my model, Tanya van Aswegen, who doubles as a ballerina, in different settings. The first one we picked was to shoot her dancing in a city scene at night. Riani Roets, the genius I use to do makeup and hair, created a look which suited the concept. Initially I carried with all my equipment, and I got several good shots with the mobile lighting system, as well as the additional speedlight now and again. Later I experimented with pushing the ISO of my camera to 2000 and up, in order to get that grainy, old school feel, especially in monochrome shots. I loved the contrast we got with a sweet, very feminine subject, and a modern, industrial background. Working at night also gave the shots a more edgy feel, rather that the normal dreamy and romantic look one often gets when photographic ballerinas. The greatest challenge when doing away with extra lighting, was trying to catch motion. I wanted to get an effect similar to a panning shot of wildlife, and we were very lucky to get one or two which actually worked. I wanted to have Tanya pose in the street with minimal ambient light surrounding her, and her white tutu lit up somehow. The solution I came up with was to use battery operated fairy lights and put it under her dress:) As you can imagine, we had several jokes about this! I learned a great deal during this shoot, and I’m very pleased with the results. Juxtaposing a classical dance next to a modern setting was interesting and a lot of fun. As this is an ongoing project, we have several ideas about the next phase of the Ballerina Project. Watch this space! I like your ideas. Don’t understand the whole lighting thing and all that, but the shots are amazingly beautiful. Did you also happen to notice the “bag lady” hanging out there?